I will preface this by saying my handbags are not expensive, fancy, or in any particular need of protection from the elements. But I *hate* reaching for a bag and finding it all dusty. Especially this bag, because I MADE IT WITH MY OWN TWO HANDS. Because dust shall not prevail in this household, I went to the Dollar Tree and bought some pillowcases. 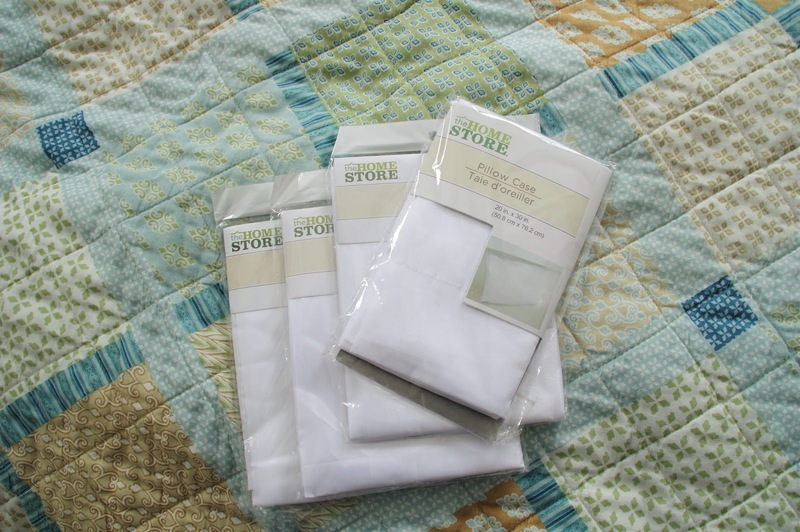 Note that these are not high-quality cotton pillowcases. They’re $1. But they’ll keep dust away, and that’s all I needed. First, I found the seam along the open side of the pillowcase. 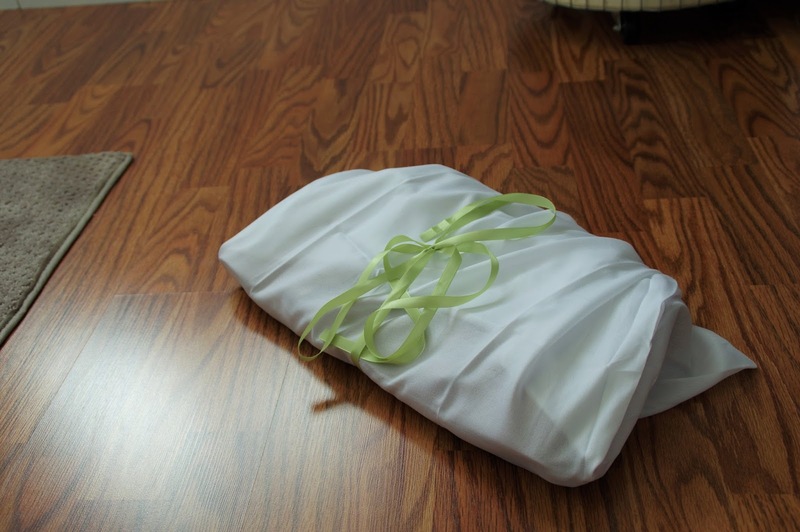 The open side of a pillowcase has a large hem, and that’s what we’re about to get into. I snipped it open with scissors. I threaded the end of the ribbon onto a safety pin. Then, I stuck the pin into the open seam, and threaded it through the hem on the pillowcase, working all the way around to where I started. And that’s pretty much it. 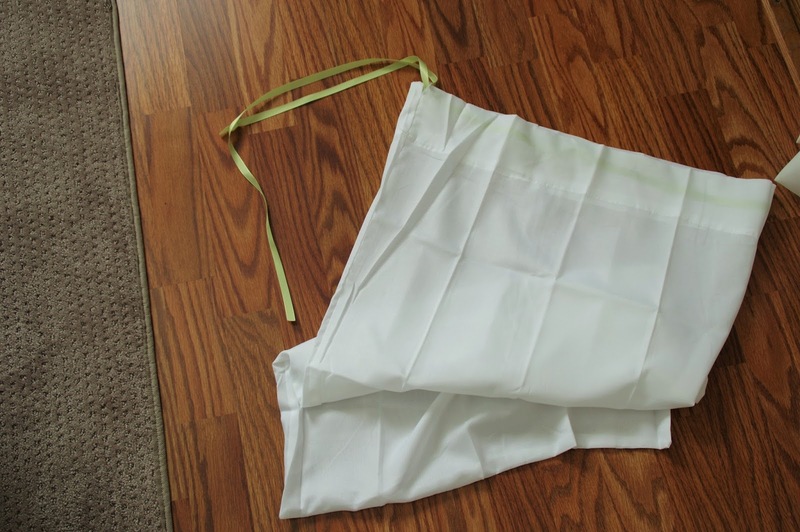 I was left with what looks like a gigantic drawstring pouch. I put a handbag in, folded the excess material over, and tied the thing shut. That’s that. Back into the closet it went. Next time I switch bags, it won’t be all dusty, and the part of me deep down inside that is an insane clean-freak will breathe a sigh of relief. 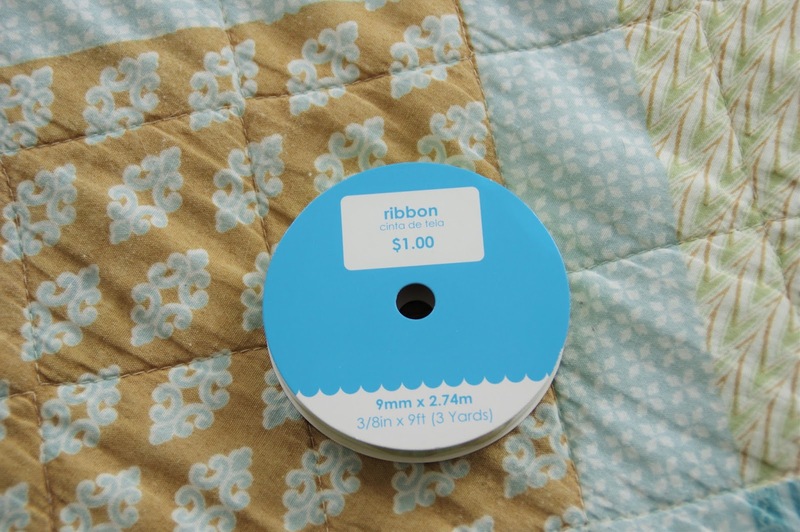 The old threading-ribbon/elastic/whatever-with-a-safety-pin trick! My mom taught me that ions ago when she taught me to sew. Glad to see you using it, too. It's a good trick! I will not discuss my attempts with elastic, because they're not pretty. Elastic is the devil.